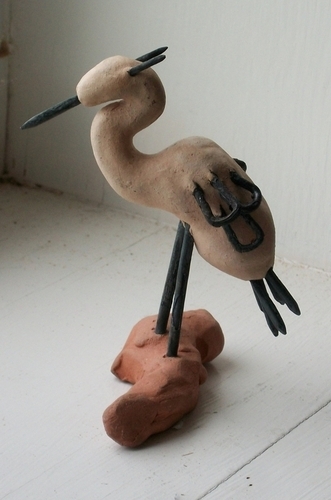 smoked clay heron with nail legs, wings, tail and beak. 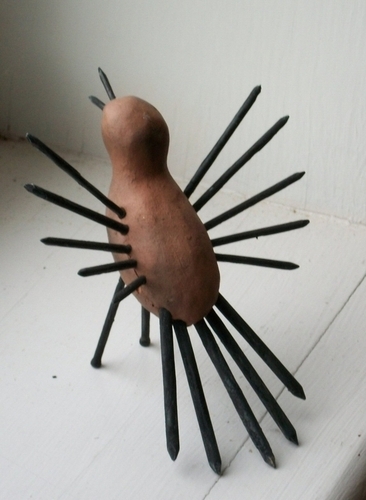 4"x2"x2"
smoked clay bird with nail wings, tail, legs, and beak. 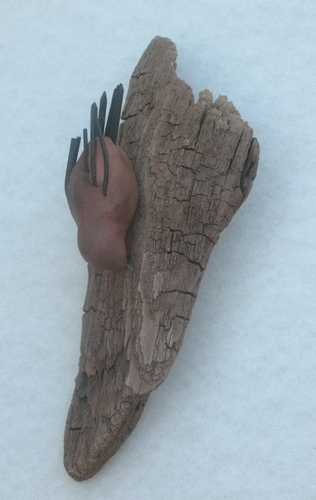 4"x4"x4"
A little clay nuthatch with nails for beak, wings, and tail, mounted on a piece of driftwood. Ready to hang.